After a week of collecting smart meter readings, I’m now ready to show results in a cloud-based energy monitor system – Bidgely – complete with graphs showing readings, cost and machine learning results breaking down my usage by appliance. This is part 4 of a series of posts about the Internet of Things applied to Home Energy Monitoring. I have a Smart Meter from BC Hydro, an Eagle energy monitor and various cloud apps helping me understand it all. 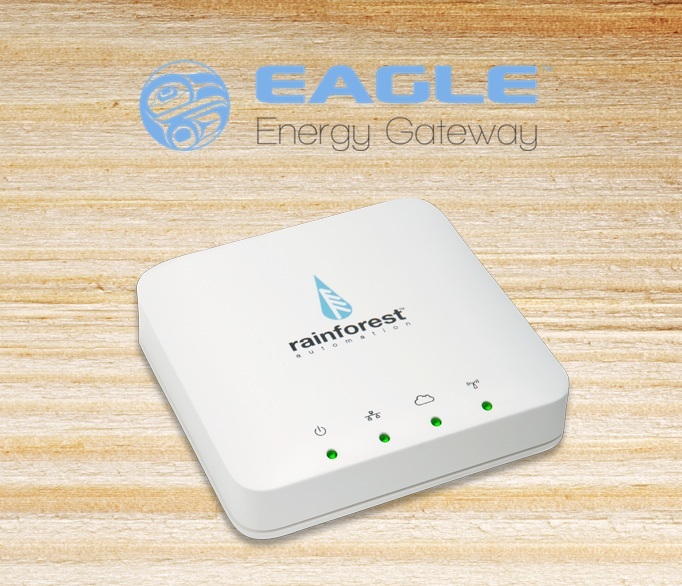 The Eagle energy monitor from Rainforest Automation is a very handy device. It reads the wireless signal from my electricity meter and makes it available through a web interface – both a graphical environment and a RESTful API. In this post we look at the standard graphical screens and the data download option. Next time we’ll look at the RESTful API for programmers to use. This is part 3 of a series of posts about the Internet of Things applied to Home Energy Monitoring. See my post from Day 1 – getting started or Day 2 – connecting to cloud services. In my next series of blog posts we explore an Internet of Things topic – Home energy monitoring – from a first person perspective. Join me as I install, use and hack a monitor (and related cloud services) in my new home. This is part 1 of a series of posts about the Internet of Things applied to Home Energy Monitoring. Running Kafka for a streaming collection service can feel somewhat opaque at times, this is why I was thrilled to find the Kafka Web Console project on Github yesterday. This Scala application can be easily downloaded and installed with a couple steps. An included web server can then be launched to serve it up quickly. Here’s how to do all that. For a quick intro to what the web console does, see my video first. Instructions for getting started follow below, including the quick video. I think you get the picture – a potentially frightening picture for those unprepared to handle the torrent of data that is coming down the pipe. Unfortunately, for those who are unprepared, the disaster will not merely overwhelm them. Quite the contrary – I believe they will be consumed by irrelevancy.